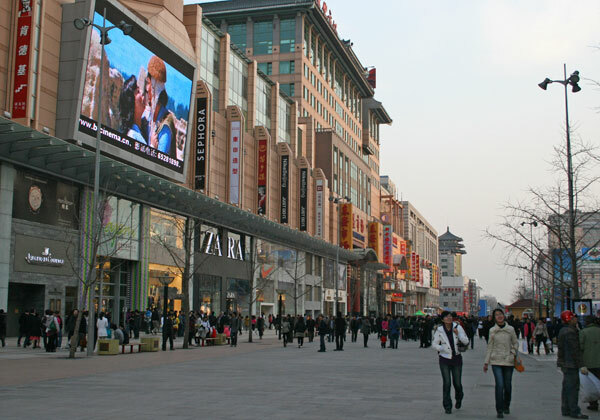 Wangfujing Street is one of the largest and most well-known shopping streets in Beijing. Featuring a mix of large modern department stores, luxury brand name outlets, small retail shops, and markets. What’s interesting is that this has been an active commercial street for over 700 years! The street is pedestrian only for half its length with plenty of room, which is fortunate for the many thousands of people visit here daily! The street is quite long and if you like shopping you could lose a day here no problem. Or maybe longer. 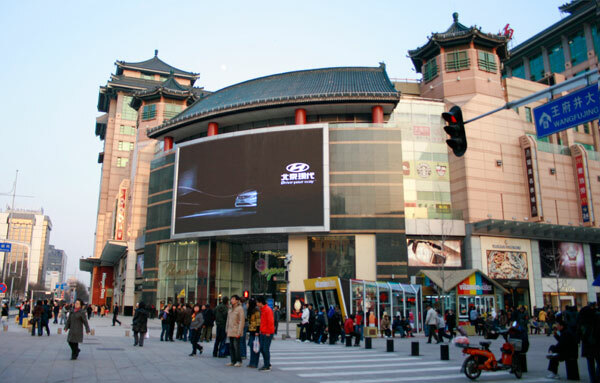 The photo below is of the Beijing APM (Song Don An) on Wangfujing St. Its a huge ultra modern mall featuring a mix of food and retail. Another large mall is the Intime Lotte Department store which features many luxury brands such as Gucci, Armani etc. Yet another is the massive Oriental Plaza which is where you will find the Apple flagship store along with Burberry and Bally stores. 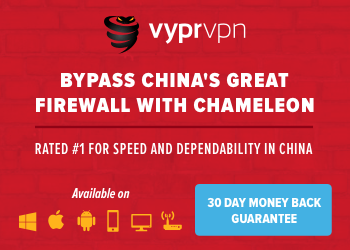 There’s also plenty of action in the side streets around Wangfujing, including Wangfujing Snack Street that is packed with interesting market stalls, and packed with people too! 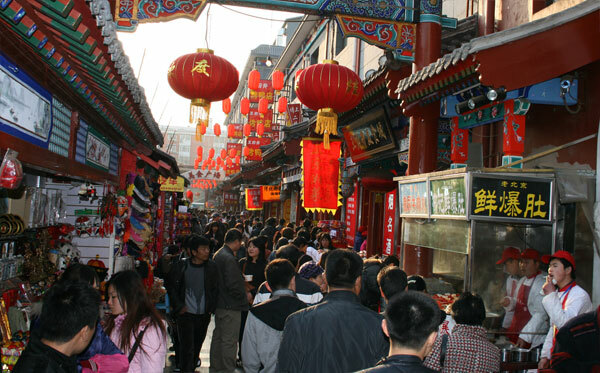 Wangfujing Snack Street – A side alley off Wangfujing. This was a quiet spot! There’s also plenty of places to eat including the usual suspects like McDonald’s, KFC, Starbucks etc but much more interesting is some of the street vendors as per the photo below. Hungry? How about millipedes, beetles or scorpions? Live scorpions…that is. Don’t be worried about the freshness as many of the skewered delicacies are still wriggling while on display! You might think that a food stall that’s frying up skewered scorpions, beetles, starfish and who knows what else, might be a bit of a unique thing, but not on Wangfujing Street. At night, there’s a whole strip of street stalls that serve up lots of things you’d rather treat with insecticide than eat… That’s probably not fair, to be honest, it all smells really good, but on this night it was a feast of dumplings at a restaurant around the corner for me. Plenty of who knows what to choose from. Donglaishun Restaurant (东来顺) – is famous for its mutton hot pot and diverse range of cuisine. Quanjude Roast Duck (全聚德) – hailed as the no.1 roast duck restaurant in China. 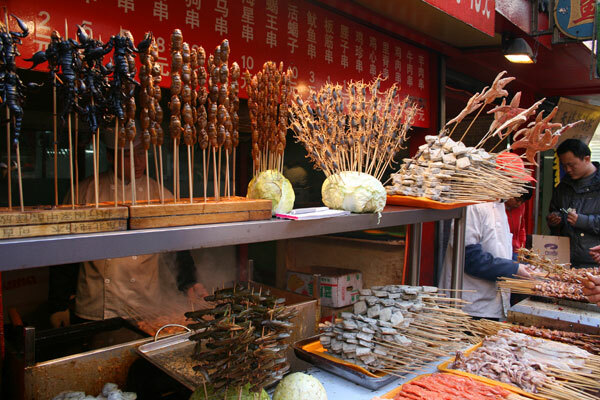 Wangfujing Snack Street (王府井小吃街) – Don’t be put off by the crispily fried scorpions, spiders, and other oddities, as there are snacks from all over China here and it’s a rare chance to see many of them all together in the one location. Try not to go there during regular eating hours or on holidays as it can be too busy to enjoy. 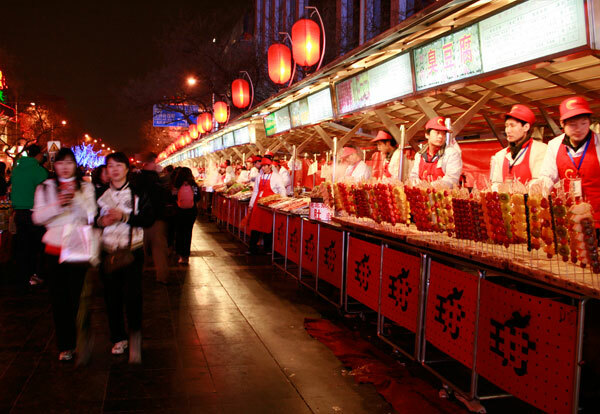 Wangfujing Food Mall (王府井食品商场) – native products in Beijing, including snacks, pickles, cakes and even Quanjude roast duck, almost all of Beijing’s specialty foods can be bought here. The Shopping Malls: The shopping malls open from around 9.30am and close around 10 pm. Beijing APM (Song Don An 新东安市场) – mid-range price mall with names such as Zara, H&M, G2000, Godiva, Kiehl’s, GAP, there’s another Apple store here too and a GoPro store. The top two floors are all eateries! Intime Lotte Department store (银泰乐天百货) – More high-end luxury goods inc. Gucci, LV, Prada, Chanel, Valentino, and Armani. Oriental Plaza (东方广场) – a massive mall that stretches along Changan Ave with an entry off Wangfujing st. You will find the Apple store here and many other major brands, lots of eateries, hotels, and interestingly a Paleolithic Museum, it not large but something different and only 10 RMB admission. Beijing Department Store (北京市百货大楼) – the streets original department store, you can find just about anything here. Foreign Language Bookstore (外文书店) – an iconic bookstore, lots of English titles, new and used. Location: The entire length of Wangfujing street runs from Wusi St near the National Art Museum of China south to Changan Avenue. About 1.6km in total, the pedestrian section starts at the southern end and runs for about 800m. I have highlighted the whole length of the street on this map and placed a marker on the pedestrian section. Also, I have added my picks for the top hotels along Wangfujing St, along with the big malls, and famous stores. Also see my hand-picked list of the top spa hotels in Beijing. at nights shops closed at 9 pm, 3 girls talked to us in english and they said they want to learn more english language and wants to beside us to go to cafee or drink something, we accepetd and they took us to a bar near wangfujing (ktv bar) after one hour we drinked little and they want to pay money ourselfs, they closed the firstfloor door and wants we pay 2000 yuan for 5 bear in one hour??!!!! every nights after the shops closed 2 or 3 girls together close to foreigns travelers and want to speak and learn more english language and go to a bar!! !